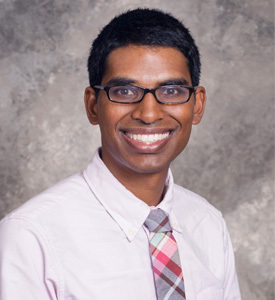 Inappropriate testing for heart attacks increases the cost of treatment; increases the number of false positives, which could lead to further testing and unnecessary consultations; and adds to patient anxiety, said Dr. Anil Makam, Assistant Professor of Internal Medicine at UT Southwestern and first author of the study published today in JAMA Internal Medicine. Using data from the National Hospital Ambulatory Medical Care Surveys, Dr. Makam looked at nearly 45,000 adult emergency room visits across the country during 2009 and 2010, comparing symptoms and tests ordered. The study defined symptoms of heart attack broadly: chest pain, nausea, vomiting, heartburn, upper abdominal pain, palpitations, shortness of breath or other breathing problems, general malaise, fainting or dizziness, sweating, fluid abnormality, edema, jaw pain, neck pain, or arm pain. If a patient exhibited at least one of these symptoms, the patient was counted as having signs of heart attack. Cardiac biomarker tests were creatinine kinase MB, troponin I, and troponin T.
Despite the broad definition of coronary symptoms, 29.7 percent of all patients tested for these cardiac markers exhibited no symptoms of a heart attack. Among patients who were hospitalized following their emergency room visit, 35.4 percent were tested for cardiac markers despite showing no symptoms of a heart attack. The biggest predictor of whether a patient was tested for cardiac markers was the overall number of procedures and tests ordered. Patients who were admitted to the hospital at the end of their emergency room visit were also more likely to have cardiac tests ordered. But even among patients who were treated and released, 7.5 percent of patients who exhibited no heart attack symptoms were tested for cardiac markers. “Extrapolating our findings, our extremely conservative estimate is that there were 1.7 million individuals with a false-positive cardiac biomarker test in the U.S. over those two years,” Dr. Makam said. Dr. Makam said legal concerns, as well as testing practices at institutions, were likely behind the pattern of testing when patients did not exhibit symptoms. “I would have expected symptoms to be the main driver but it was testing practices that were the strongest predictor of cardiac biomarker testing,” he said. Dr. Oanh Nguyen, Assistant Professor of Internal Medicine at UT Southwestern and senior author of the study, said there are several reasons why physicians might be ordering tests in the absence of symptoms. “First, providers who are ordering the tests may be fearful of missing a diagnosis and they are ordering everything but the kitchen sink in terms of tests, ‘just in case,’” said Dr. Nguyen. “Second, providers may be over-ordering tests in situations where they are uncertain of a diagnosis, and are hoping that the tests will help them make a quick diagnosis. Finally, providers may simply be following institutional guidelines,” she said. UT Southwestern, one of the premier academic medical centers in the nation, integrates pioneering biomedical research with exceptional clinical care and education. The institution’s faculty includes many distinguished members, including six who have been awarded Nobel Prizes since 1985. Numbering approximately 2,800, the faculty is responsible for groundbreaking medical advances and is committed to translating science-driven research quickly to new clinical treatments. UT Southwestern physicians provide medical care in 40 specialties to about 92,000 hospitalized patients and oversee approximately 2.1 million outpatient visits a year.